The summer holidays often mean tanning, which means exposing your skin to the sun. The sun’s rays are vital for replenishing our vitamin D levels and making us look good, but our skin often pays the price, with free radicals, sunburn, dry skin and premature aging being the consequences. While on holiday, we might also be exposed to other external aggressions such as chlorine, wind, seawater, etc. Here are some ways to repair your skin after the summer. To tan properly, you need to prepare your skin for the sun and tan gradually so that you don’t burn. Sunburn (2nd degree burn) causes the skin’s superficial layers to peel off and the cells to be renewed more quickly, meaning that the resulting tan does not last as long. Deeper sunburn can lead to the appearance of more persistent marks. The sun causes free radicals to be produced within the skin cells, which are harmful and can lead to genetic mutations. It is therefore important to protect your skin with an effective sunscreen and expose it gradually, especially for pale skin. This way, your tan will be lower risk and will last longer. Your “sun capital” is a real thing, and it depends on your ethnic origin. I compare it to a purse of money that we receive at birth and which we spend at a certain rate, depending on our skin and our sun exposure. Once this capital has been used up, our skin is less able to repair itself and we are more at risk of marks, premature aging and skin tumours. Let’s stay positive, because lying in the sun feels nice and boosts our vitamin D levels, which is important because more and more people are lacking in vitamin D nowadays. The aim of repairing your skin after sun exposure is to hydrate the skin, fight free radicals, and prevent aging and skin sagging while making your tan last longer. This is the ideal post-holiday treatment because tanned skin is often dehydrated. The theory is simple: we inject micro-doses of pure hyaluronic acid (no volumising effect) with micro-needles or, even better, using a special gun (meso-gun), which makes the procedure pain-free. Hyaluronic acid, a vital element already present in our body, is hugely effective for hydrating the skin because it traps up to 1,000 water molecules around it. Vitamin C, whose antioxidant action regulates and speeds up DNA synthesis. It plays an essential role in collagen synthesis. Vitamin A or retinol, whose antioxidant action is boosted when associated with vitamin C. This regulates the regeneration of the epidermis as well as regulating amino acid activity. Vitamin E, thanks to its antioxidant action, regulates the skin’s physiological regeneration and triggers the repair process in the event of skin damage. Vitamin B, thanks to its antioxidant action, releases the energy required for proper fibroblast function. I use a meso-gun, which allows him to inject 400 shots per minute of this cocktail of vitamins and hyaluronic acid into the face, décolletage and/or hands: areas which are tanned and most often exposed to the sun. This technique boosts fibroblast production and activates the cells that release inflammatory cytokines, growth factors (TGF beta) and platelet factors. We perform 3 to 4 sessions spaced 10 to 15 days apart for a long-lasting effect over several months, with a top-up session every 3 months. Like their name suggests, they boost the skin by supplying non-cross-linked (pure) hyaluronic acid. This treatment provides the skin with deep and long-lasting hydration, and improves the skin’s elasticity and tone, which is often damaged by the sun, chlorinated water and coastal conditions. Particularly useful in areas where the skin sags or suffers from “dermal fissures”, such as the cheeks and the décolletage, Skinboosters are injected into the dermis using the nappage technique, either with a micro-needle or a cannula. We carry out 1 to 2 sessions spaced a month apart. For Skinbooster treatments, we recommend 2 top-up sessions per year. More and more people are recognising the benefits of LEDs (Light Emitting Diodes). Several colours of LED have a positive effect on our skin, including red, yellow, green and blue. After the summer, the use of blue LEDs is particularly beneficial because they help repair the dermis. The light from the LED goes straight into our cells’ energy source, the mitochondria. Red light acts deeper within the skin and on the skin’s fibroblasts, which produce collagen and improve the skin’s elasticity and tone. The good thing about LEDs is that they are risk-free: in fact, they enhance the effect of other localised skin treatments (mesolift, Skinboosters, peels, etc.). I use LEDs after all other aesthetic facial treatments, as well as after surgical treatments on things such as acne, hair loss and stretch marks. Recently, a host of new skin treatments have been developed that are grouped together under the term “bio-revitalisation”. The Plump-Peel is an innovative treatment that can be used year-round because it does not require the patient to retire from day-to-day life or stay out of the sun (only 24 hours’ downtime). It combines a light peel (neutralised TCA) with a skin plumper (oxygen peroxide). This treatment is particularly beneficial after sun exposure because it gets rid of dead skin cells, gives an immediate radiance boost and smooths any micro-breaks in the skin. The product is applied to the skin then rubbed in by way of a massage or using a roller. The treatment is pain-free, lasts 15 minutes, and should be repeated 2 or 3 times every three months. These peels are particularly useful for preparing the skin before mesotherapy or Skinbooster treatments, because they potentiate the skin’s rehydration. To get a long-lasting tan, it is not enough to protect your skin while you sunbathe. Factor 50 sunscreen does not stop skin from tanning: it prevents it from burning and gives your skin enough time to make the melanin that will give your skin that golden colour. A repairing after-sun product will keep your skin hydrated over the summer months. Once you are back home, you can use hydrating creams coupled with vitamin-packed free radical-fighting serums. Some creams contain the same actives as mesotherapy products, which makes them effective for longer. After the holidays, our skin is crying out for a cocktail of aesthetic medicine, cosmetics and light therapy, to maintain that golden holiday glow and remind us of summer! 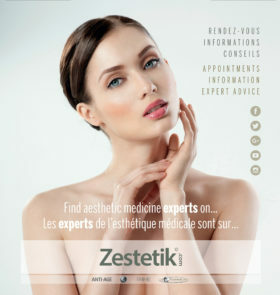 Doctor Laurent Benadiba is a plastic surgeon in Paris who was awarded a qualification in Plastic, Reconstructive and Aesthetic Surgery by the Paris professional board over 20 years ago. 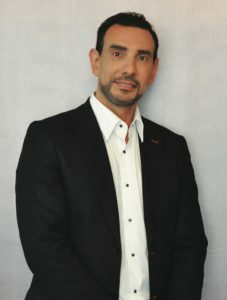 He teaches Aesthetic Medicine at the Paris Medical faculty and is a coordinator for the DUTIC and DUMEG qualifications.